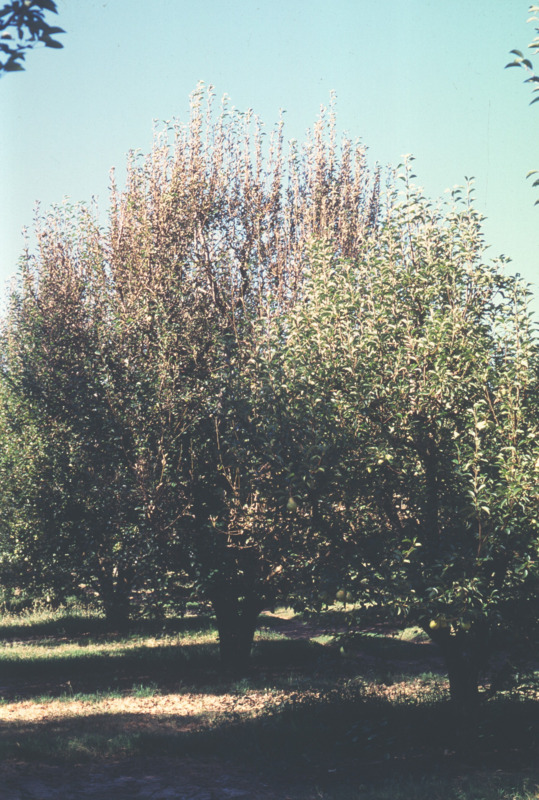 Mites are one of the most consistent pests in deciduous fruit tree orchards in Western Australia. Over-reliance on miticides for control has led to pesticide resistance in some species. 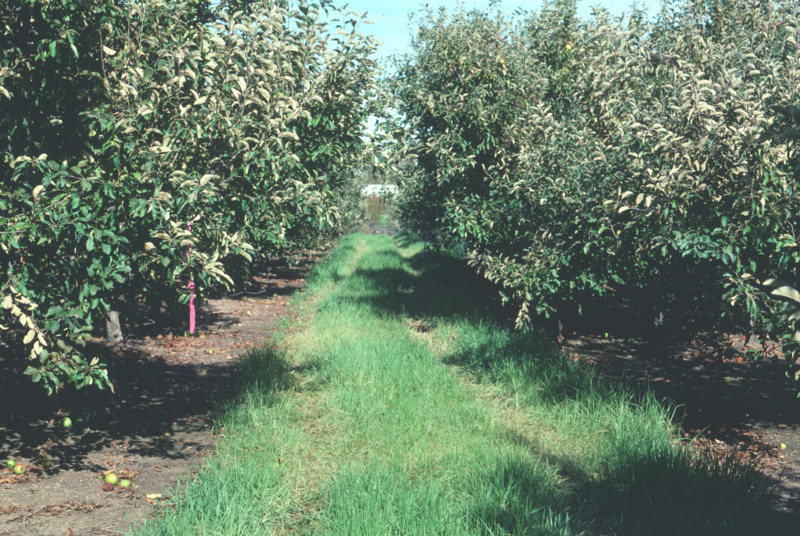 Information is provided on monitoring techniques and action threshholds to help orchardists decide whether mitcides need to be applied. Details for use of registered miticides and tactics to avoid development of resistance are also included. In Western Australian deciduous fruit tree orchards, natural control agents can help to reduce or eliminate the need for miticides to control pest mites. The principal natural enemies of pest mites include predatory mites, stethorus beetles, predatory thrips and lacewing larvae. Because seasonal conditions vary, the decision on whether and when to use miticides can be gauged through regular monitoring — for both pest mites and their natural enemies. Guidelines for monitoring and action levels for pests depending on whether beneficial agents are present, are included here and also in the list of references. To assist in identification of pest and beneficial mites and other mite predators, consult the references listed below. The exception to the advice on monitoring is where abamectin is used early on apples for control of two-spotted mite and European red mite. See below for special guidelines on this. For control of two-spotted mite (Tetranychus urticae) in apples, abamectin can be applied two to six weeks after petal fall to ensure the miticide penetrates the leaf, forming a reservoir of active ingredient within it. For best results apply abamectin at the earlier timing. For all other miticides and abamectin on pears, monitor for two-spotted mite and spray when the action threshholds have been reached (see below). To monitor for mites, select blocks based on susceptible varieties. In each block, examine a 25 to 50 leaf sample, collected as one or two leaves from each of 25 trees, for example on a five by five grid. Take samples weekly from late November. Sample two weeks after spraying, then weekly or fortnightly depending on temperature - weekly in hot weather. If natural enemies (especially predatory mites) are seen frequently while monitoring for pest mites and temperatures are not high, miticide application may be delayed until the role of the natural control agents becomes clear. Action threshholds suggested below, assume that natural control agents are either absent or present at very low levels. For the ovicides (egg killers) Apollo and Calibre/Hexythiazox used alone, apply at around 10% leaf infestation. For ovicides mixed with miticides that control motile stages (mobile stages after hatching), apply at 30 to 40% leaf infestation. For all other miticides, apply at 30 to 40% leaf infestation. At these action threshholds, the trees will appear to be completely healthy and uninfested. The threshholds are recommended because with the onset of high summer temperatures, reproduction is rapid and mite outbreaks are difficult to control. Monitoring allows preventative action to occur as and when needed. At low densities of two-spotted mites pears suffer leaf scorch. Thus, the threshhold for applying miticides is lower than for apples. For all miticides, apply at around 10% leaf infestation. Ovicides may be mixed with miticides that control motile stages. Apply miticides when leaf monitoring indicates a need to spray. An exception is when using abamectin early on apples, but this is acceptable in adopting a resistance management strategy by alternating miticides with a different mode of action. If using abamectin early on apples, consider applying the miticide to half the area only during a season. In the following season, use miticides from other chemical groups for this area. The other half could be treated with miticides in the same way, but in the alternate season. Rotate the use of miticides based on the chemical group each belongs to — refer to the table below. Rotate miticides between chemical groupings, both within and between seasons. After about six seasons of consecutive applications of the ovicides Apollo and Calibre/Hexythiazox, miticide resistance has made them virtually ineffective. Because Torque and Omite do not control mite eggs, two consecutive sprays seven to ten days apart are recommended for moderate to heavy infestations. These miticides work better in hotter weather. If further spraying is required, use a miticide from a different chemical group. If season-long protection from mites is achieved after abamectin only, and monitoring next season indicates a need to control mites, apply a miticide from a different chemical group first.